When you use our website / mobile app and / or are in contact with us to order and purchase tickets and goods from us, Tikko will process personal information about you. Below you will find information about the personal information collected, why we do this and your rights related to the processing of personal information. For questions you may have about our processing of your personal information, please contact support@tikkio.com. If you visit only the publicly available parts of our webpage / app, we will not collect any personal information about you. However, we can automatically collect information about your visits, such as user patterns. Information gathered in this way does not contain information about contact information, or any other types of personal information, and such information is only used in aggregate form to analyze, drive and develop the site without the information being associated with individuals. If you are a user of the site / app, we will collect and store personal information about you when you register as a user. Personal information collected by us will include full name, username, email address, mobile number and zip code. From time to time you will also be able to provide other personal information that we or the organizer needs to provide you with the services you request as other information about yourself, your preferences and your experience. 2. How we use the users personal information? i) We or the organizers who use us use personal information to complete orders, provide you with the services you have requested and manage the user relationship. The treatment takes place on the basis of fulfilling an agreement with you. ii) We or the organizers who use us also use personal information to get in touch with you, for example in case of cancellation of the event, change of arrangement start or when other important information related to your purchase must be delivered. The treatment takes place on the basis of fulfilling an agreement with you. iii) Answer any inquiries that come in to us. Name, phone number, e-mail address and any other personal information that may result from the inquiry, including previous purchase via website / app. The processing of personal data is based on an interest assessment. We have considered that this is often necessary for us to help you with whatever you are wondering about. We use personal information for marketing by sending out newsletters and providing information about our business. The treatment is based on your consent. • The cookies remembers your choices on the site to increase ease of use. • The cookies helps Tikkio analyze the use of our web pages, so we can improve functionality and ease of use. • The cookies are used to show you Tikkio ads on other websites. You can make changes to using cookies or discarde/delete them from the settings in your browser. Check the help pages of your browser, do a web search on the topic or visit aboutcookies.org. If you make changes to or discard/delete the cookies, we can not guarantee that the website will be functioning properly and Tikkio can not be held liable for errors. Your personal information will be disclosed to Tikkio's affiliates in connection with the completion of the purchase of goods and services from our website / app. This in order for the organizers to come into contact with you, for example. in case of cancellation of the event, arrangement start or when other important information related to your purchase with us expires. We do not provide your personal information to others unless there is a legal basis for such disclosure. Examples of such a basis will typically be an agreement with you or a legal basis that instructs us to disclose the information. All information about the purchase history of tickets and goods purchased is being processed strictly confidentially and within the framework of the current law in the area. The same goes for bank information, which is handled exclusively by PayEx. All information in Tikkio is encrypted and secured with Secure Socket Layer (SSL) Certificates. All data in Tikkio is located at Copyleft. These have their own server park in their own room at Digiplex in Oslo (Norway) - of many considered the country's best IT housing center. Digiplex has very good physical protection, with a 24-hour security center. There is internal and external surveillance, self-contained security area throughout the building, and full access control for both the building, corridors and single rooms. They also have a secondary data center in Mølleparken in Oslo, in the same building as Copyleft's office space. The center has good physical fuse, cooling, fiber network and UPS-powered power. However, it will only be used for secondary services such as backup, development servers, lab, etc. Here, only certified hardware is within 24/7 service agreements. All these services and servers are subject to Norwegian jurisdiction, and only Norwegian employees have access to our core systems. Copyleft has strict hygiene on the flow of data and systems so that our customer's content is not subject to other countries' laws. We store your personal information with us as long as necessary for the purpose for which the personal information was collected. This means, for example, that personal data we process on the basis of your consent will be deleted if you withdraw your consent. Personal data we process to fulfill an agreement with you will be deleted when the agreement is fulfilled and all obligations arising from the agreement are fulfilled unless there is consent of you for further processing and storage or a statutory requirement that your personal information will still be stored. In order to respond to your inquiry about your ticket and purchase of goods and any legal claims you believe to be related to the purchase, we have considered it necessary to store your ticket and purchase information for up to three years after the fullfilment of the agreement. However, your privacy is taken care of by not using the personal information for any purpose other than assisting you with your inquiries. To use your rights, please contact support@tikkio.com or by (+47) 411 49 000. We will respond to your inquiry as soon as possible and no later than 30 days. We will ask you to verify your identity or provide additional information before we allow you to use your rights with us. We do this to ensure that we only provide access to your personal information to you. You may withdraw your consent for processing personal information at any time. The easiest way to do this is to contact support@tikkio.com. If you believe that our processing of personal information does not match what we have described here or in other ways we violate privacy laws, you may appeal to the Data Inspectorate (Datatilsynet) in Norway. For information on how to contact the Data Inspectorate, visit the Data Inspectorate's website: datatilsynet.no. Early Bird tickets is a great way to engage fans, get revenue to reinvest in marketing or production – and test the waters for your event. Facebook has changed their focus from photos to videos as their top priority. Videos are more eye-catching and grabs the attention of the users. 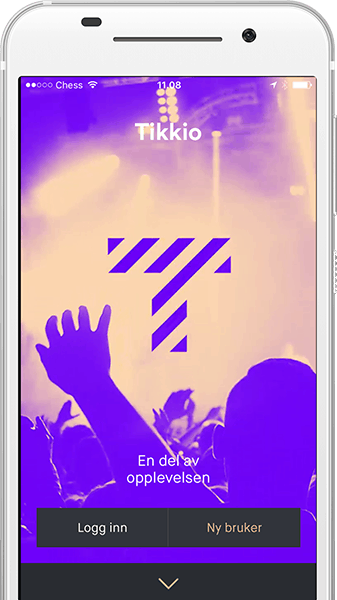 Tikkio makes it easy for anybody to sell tickets. You only need to register as an organizer with us.